There's no need to be crabby — hungry fans asked for it, so they are bringing it back. After a year of waiting, you can finally satisfy your seafood craving with the 2017 hit of Ooma and 8Cuts: the Soft Shell Crab ‘Wich is now on the menu for a limited time, and in time for the Lenten season, too! 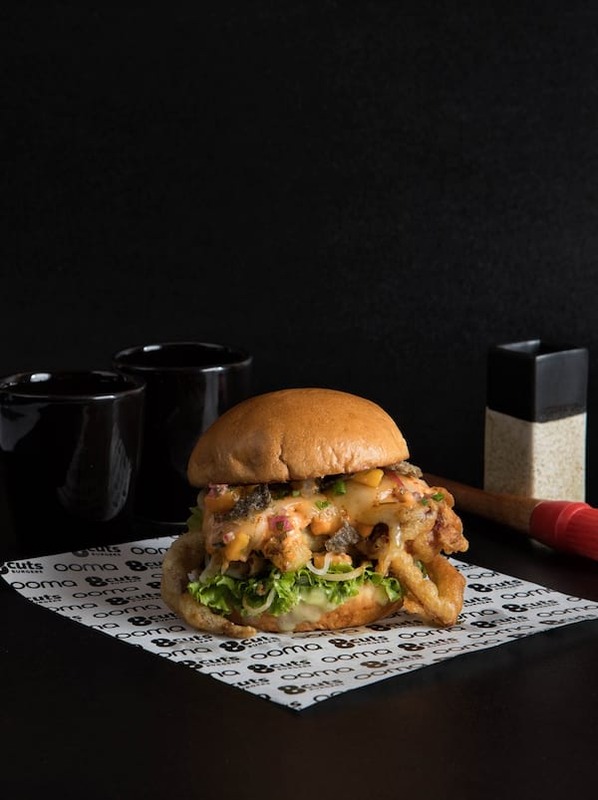 The limited edition 8cuts and Ooma collab features a marriage of Japanese flavors and the down home comfort of an awesome sandwich -- you get all the workings of a soft shell taco maki piled between a brioche bun. This 8cuts-Ooma animal gets the Ooma touch as a beer-battered soft-shell crab is layered with unagi sauce, mozzarella, mango salsa, herb aioli, aligue mayo, and crisped-up salmon skin—all between pillowy 8Cuts brioche buns. The Sea Monster is back! 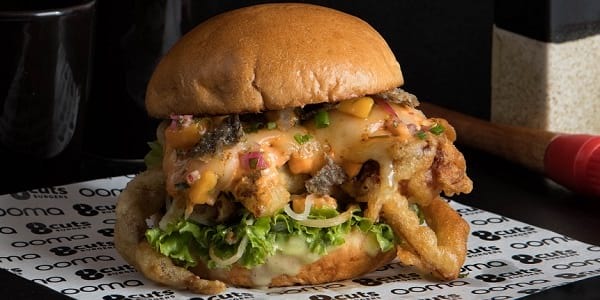 Get the Soft Shell Crab ‘Wich at 8Cuts or Ooma shops. 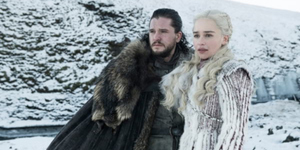 Better hurry, this one’s here only for a hot second. This limited edition Soft Shell Crab ‘Wich is available for P299 in all 8cuts and Ooma stores, from Feb 12, 2017 to March 31, 2018. Grab it while you can!